So you have brought your dream home, you have started to look at furnishings and you can't wait to move, but have you considered your insurance needs? 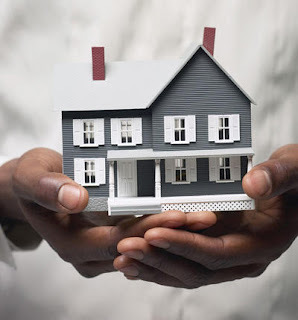 Making sure that you have the right insurance for your needs is imperative to not only your financial well being, but also to your mental health; if you are not covered and your home gets damaged, not only will you have to foot the bill, but the stress this causes is immense. To make sure that this isn't the eventuality that you find happening to you, you need to avoid the common mistakes that so many of us make. Here are the top tips for securing your home today! It may seem like an obvious statement to make, but many people don't know what their home insurance actually covers. Home Insurance Quotes are the best time to make sure you ask all the right questions: What does the policy cover? What about personal contents? Do I need to add anything on to my policy? One mistake that many people make is to simply insure their dream home for the mortgage amount. Although this seems reasonable, it is not perfect as the cost of rebuilding your home is going to be greater than that of your mortgage. Your building and contents insurance should cover you for a full rebuild of your home and any damage to your personal property. On top of this basic coverage, you should also look at what add-ons your insurance provider can give you, this can be anything from making sure your bike is insured through to extra fire and flood coverage, perfect if you live near a flood plain etc. When you sign up with your mortgage provider, you will probably find that they offer their own form of buildings insurance that is available for you. This may be the perfect insurance for you, but you can't be sure of this if you haven't done your homework. Shopping around for insurance is a great way to get what you need and often works out cheaper than simply going for the first policy you see. Many companies, such as AXAInsurance, offer promotions and deals throughout the year, a great reason to do your homework. This way you can choose the provider that covers your specific needs, insurance is very personal as we all have different risks associated with our homes, so you need to make sure you are prepared for the future. Simply start by searching for buildings and contents quotes to see what is available to you and your home. As with any financial commitment you make, reading the fine print before you sign up for anything is imperative to making sure you stay financially healthy. You may believe that you have the right policy for you, but without reading the fine print, you may be wrong. It is also important to make sure you know the limitations of your claims. Each insurance provider will have a certain set of limitations for some claims, for example if you have a house fire caused by negligence on your part, you may not be able to claim if you don't have accidental damage insurance. Once you have read the fine print, you will have a completely open view of what you can and cannot claim against, how much you can claim up to and what you should do to make your claim.